Sitting upon a picturesque hillside in the town of Aiguablava in Catalonia?s Costa Brava coast, the undulating rooflines of Stgilat Aiguablava villa could be mistaken for the natural geological extension of the Mediterranean landscape. Representing a holistic and organic dialogue between structure and its surrounding hillside, the project is the sum of numerous technologies, prefabricated parts, and rapid manufacturing techniques in service of an organic expression of ?smart? Mediterranean architecture. Commissioned by a client passionate about Mediterranean culture and lifestyle, and also receptive to prioritizing innovation over mere luxurious treatments, Cloud 9’s chief architect Enric Ruiz-Geli was given reign to incorporate digital and sustainable techniques in constructing Stgilat Aiguablava villa. 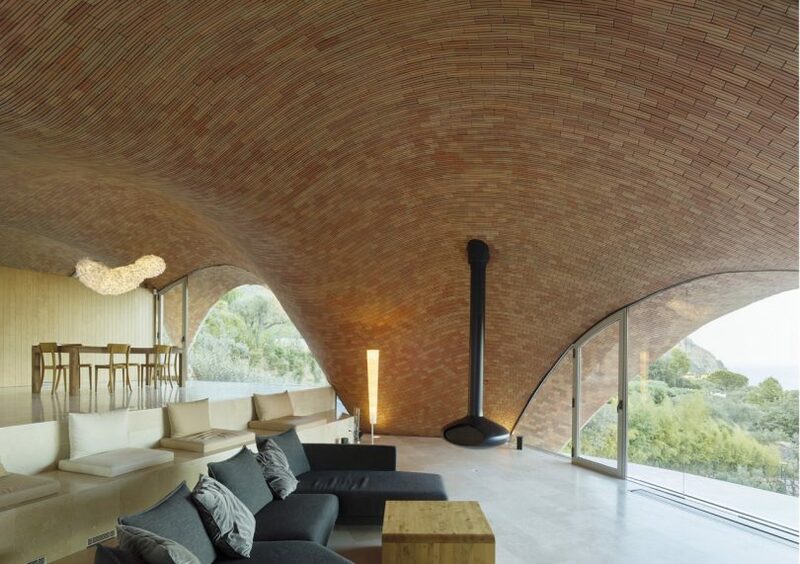 For example, advanced fiberglass engineering was used to form the enormous sweeping Catalan vault stretching across the main residence interior, a feature echoing the view outward.